The bulls are well and truly back in the oil market, with many analysts and traders predicting $100 oil by Christmas. But upon closer inspection, these claims appear to be driven fear and greed as opposed to fundamentals. On Wednesday, the EIA reported a huge build in U.S. inventories, 7.9 million bpd, but oil markets barely noticed. In fact, a few minutes after the EIA’s data release on Wednesday, oil prices posted a new high of $85 before breaking $86 later in the day. For oil traders who focus on fundamentals, the response from oil markets will have come across as strange to say the least. In a less bullish market, an increase in U.S. inventories of this magnitude could well have sent prices down by a few dollars – they certainly wouldn’t have soared to new highs. The same rally happened on the back of a report from Reuters which revealed that Russia and Saudi Arabia had “struck a private deal” to increase output. Interestingly, the United States was reportedly aware of said agreement before the Algiers meeting (held on 30th September) took place. An increase of 500,000 bpd was reportedly planned but, due to opposition from other OPEC members, it wasn’t made public. As if all of this was not enough to quell fears over the impact of Iranian sanctions on global oil supply, Khalid Al-Falih also announced that Saudi Arabia had increased its production to hit 10.7 million bpd in October (only 200,000 bpd shy of its all-time high). 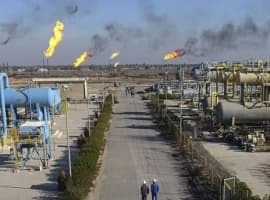 It has also been revealed that Saudi Arabia and Kuwait are in talks to restart production in what is known as the Neutral Zone – the disputed oil resources sitting on the border of the two countries. Muhammad Bin Salman is expected to visit Kuwait this Sunday to discuss the issue. None of this is to say that markets aren’t tightening at the moment, they clearly are. But can current price levels really be justified? 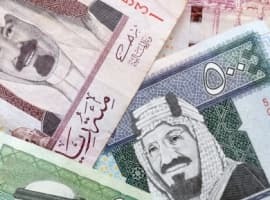 The market is yet to see a supply deficit, with every Aramco customer receiving their requested monthly oil shipments without any cuts or problems. As November 4th - the official start date of U.S. sanctions on Iran - looms, fear in the market is already hitting fever pitch. And this fear appears to be making markets blind to bearish catalysts. Furthermore, if prices continue this upward trend then we are likely to see demand destruction of some sort. A strong dollar, the U.S.-China trade war and rising oil prices can all easily dent demand from Asia’s emerging economies. India has already started to struggle; it had calculated its budget at $65 per barrel. It seems unlikely in the light of these factors that oil markets will hit the much-talked-about $100 mark this year – in fact it may well be time for a correction. It’s not fear it’s GREED. Fear is merely the excuse used to manipulate the price higher than justified. Far higher. They never learn. It worked well when oil really looked scarce but at $75 WTI oil is not scarce. It’s everywhere & can now be recovered at much less lower cost than $75. So $75 spurs a black gold rush that can get to market far faster than 10 years ago. Those prices are also a lifeline for renewables & allow their market share to creep up while they lower their cost. So the longer we have oil above $50 a barrel the faster. US production will grow & the more renewables will creep up. So let’s keep the price at or above $75 a barrel for WTI. Please. One has to differentiate between true robustness of the fundamentals of the global oil market and the hype about the impact of US sanctions on Iran’s oil exports. There is no doubt in my mind that the global oil market fundamentals are robust enough to support a rise of oil prices beyond $85 a barrel this year possibly hitting $100 early next year. Some investment banks, many analysts and even the Trump administration have been hyping so much about the adverse impact of US sanctions on Iranian oil exports that they have started to believe their hype. This may have generated an unjustified element of fear in the market. Market realities indicate that US sanctions on Iran are doomed to fail miserably and Iran will not lose a single barrel from its oil exports. One reality looking everyone in the face is that 95% of Iranian oil exports go to China (35%), India (33%), the European Union (20%) and Turkey (7%) and all of them announced that they will not comply with the sanctions. The remaining 5% goes to Japan and South Korea and both said they will apply for a US waiver and they will get it. Another reality is that China can singlehandedly nullify US sanctions altogether by buying the entire Iranian oil exports of 2.2 million barrels of oil a day (mbd) and paying for them in petro-yuan. And despite claims by the likes of Bloomberg, Goldman Sachs and other investment banks and analysts of different shapes and sizes that India is going to cut its crude oil imports from Iran, the truth will out. Reports from Reuters suggest that India will buy a total of 9 million barrels of oil from Iran in November even after the US sanctions are implemented. If prices did not react to the announcement by the EIA of a huge build in U.S. inventories of 7.9 mbd, it is because the global oil market doesn’t believe in such announcements. 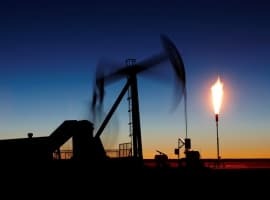 The global oil market is aware that for years the EIA has used announcements of increases in US shale oil production and rises in US crude and gasoline inventories to manipulate oil prices and force them downwards. The global oil market received with scepticism the announcements that Russia and Saudi Arabia had “struck a private deal” to increase output by an estimated 500,000 barrels a day (b/d) because it is aware that other than the 650,000 b/d that the two countries have already added to the market two months ago, they have no capacity to add more. Saudi Arabia is scraping the bottom of the barrel trying to restart oil production in the Neutral Zone from where it could get some 250,000 b/d but this can’t happen for at least six months if ever. Sooner or later, the Trump administration will be forced to cut its losses by bringing to an end its escalating trade war with China since it could never win.